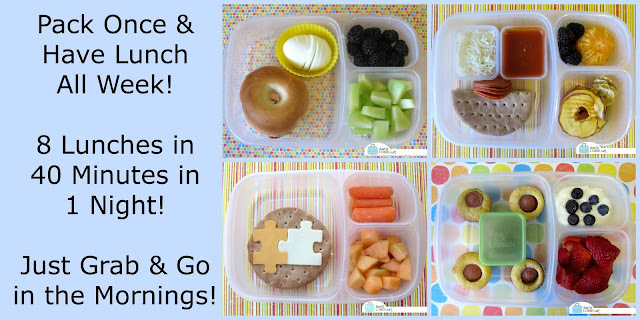 Day three of our second make ahead lunch week on Wednesday and I realized how much I appreciate not getting up and making lunches in the mornings. For that matter, I also enjoy not having to think the night before either. These may not be the fanciest bentos I have ever made, but the convenience is quite unparalleled. 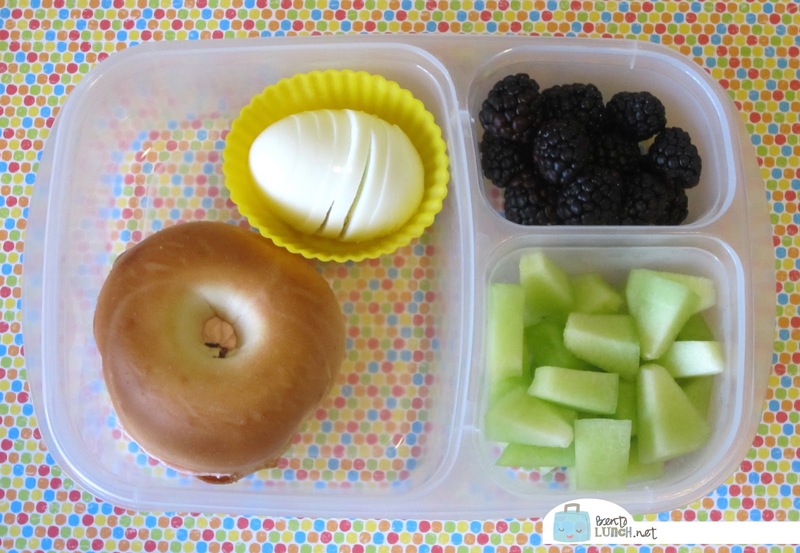 Today, the kids opted for bagels with strawberry cream cheese, boiled eggs, honeydew melon from our co-op basket (yay!) and blackberries for Ben, strawberries for Faith. I sent more of the same snacks again today for after school--yogurt tubes, Annie's Bunnies, and a banana, to help fill them up a bit. All of the lunch was prepped on Sunday night. I boiled the eggs Sunday while cooking dinner, so just had to peel and slice them, add cream cheese to the bagel and parcel out the fruits. Morning prep was only snacks and water bottles.